All FSB Programs are FREE. Since 1984 we have created many new programs. These Programs were conceived to provide a solution to problems affecting every American. It was our hope to shed light on a very important problem affecting the safety and well-being of us all. While some organizations chose to build an empire, we chose to inspire interested and affected individuals to rise to the occasion and participate on their own level of activity. Our purpose is to consistently institute new programs, seed new ideas to improve the quality of life for all of us, and to bring attention to problem areas that are detrimental to our safety and well-being yet solvable. We believe this is the American Way! The “Water Watch Program” was originally created to improve Safety Conditions on the water and to prevent the Pollution of our waterways. 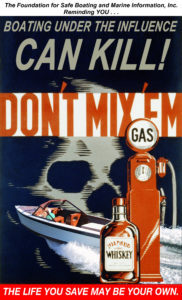 Special emphasis was placed on stopping the government from dropping Dioxin Waste Products into our clean ocean waters. Back in the 80’s we were also concerned with poachers violating our conservation regulations. We expanded the effort to include violators or environmental regulations. Special attention as brought to the mercury content of fish, especially large predatory type. Today we are concerned with an even more immediate threat to our safety. There are those who consider us the enemy and choose to harm or destroy us by any method they can use. Each American has a responsibility to participate in an effort to help the law enforcement community in its effort to protect our nation and its people.A new program, “America’s Waterway Watch,” created by the authorities. While we did not create it, we stress the importance of civilian participation. This concept was used originally during World War II. Civilians were asked to keep their eyes and ears open and to report any and all strange activity to the authorities. We employed the same concept back in the 80’s to help law enforcement officers. It is even more important that we all help. Do Your Part, Be Alert! Capt. 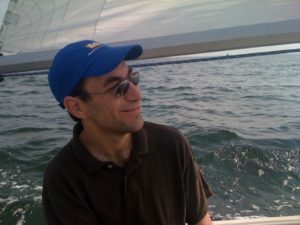 René Joseph “R.J.” Coté is the Foundation Vice President and Program Director of the Teach & Take Sailing Program since 1998. The “Teach & Take A Kid Program” was created to help give all children a hands-on opportunity to learn about sailing, motor boating, fishing and the importance of Our Environment. They need to be exposed to the good life. They will see and feel the real value, and have an appreciation, of Our Environment. In addition to running programs ourselves, we suggest a Buddy-Up effort. If you give a kid some of your time, you give them a real chance. By past performance we know you will be amazed at the results when you help an average, underprivileged or handicapped child. The rewards are two fold! The Foundation will help you in anyway it can to start your own program. Our BWI Awareness Program was created to reduce, as much as possible, the injuries and and loss of life resulting from accidents in which drugs and alcohol were instrumental at the time of the incident. – Click the Image to the Right for a downloadable Poster. For those who join our BWI Awareness Program, you help to publicize the need, prevent accidents and fatalities occurring on our waterways, and perhaps even on our highways. You can help us by giving the Foundation a Like and Share on Facebook or other social media! Provides for you access to a wide variety of current information affecting all phases boating safety and an enormous resource of technical information. Free NOAA Charts — Available in electronic raster and vector type, these maps are supported by most on-board navigation equipment systems. These official NOAA Electronic Charts are available free at the NOAA website. In 2016 the Foundation is gathering new information to share including Apps for iOS and Android™, Excellent planning and safety online resources, as well as helpful hints. Look for more in May, 2016!